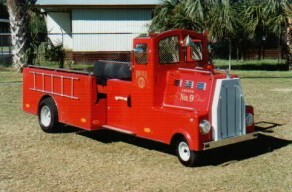 Complete with lights, siren, bell, this miniature truck can ride on any flat surface. 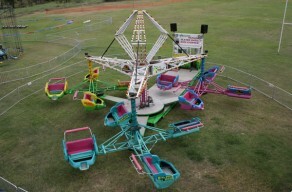 Upto 14 people at once. 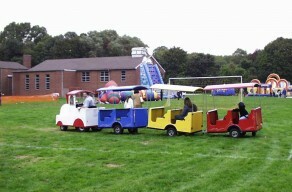 Up to 15 people can take a ride on this train, which can ride on any flat surface. 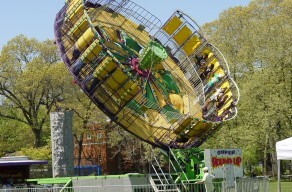 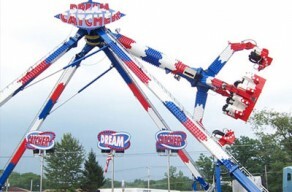 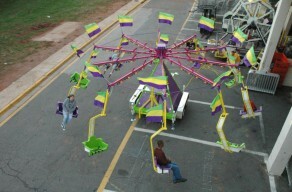 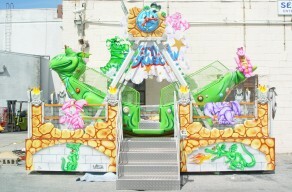 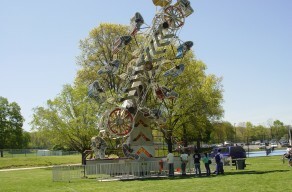 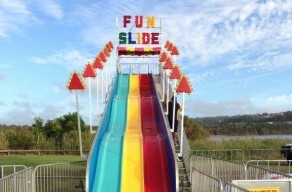 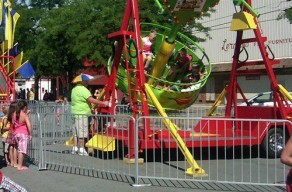 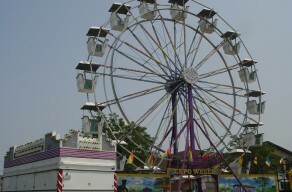 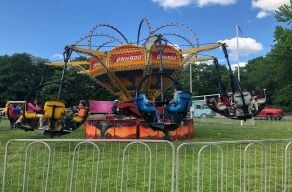 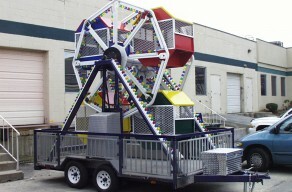 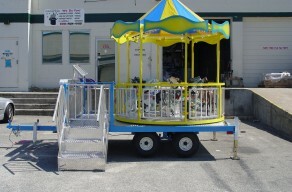 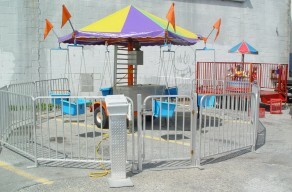 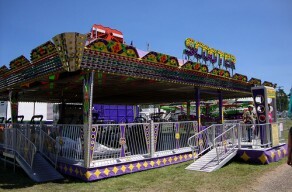 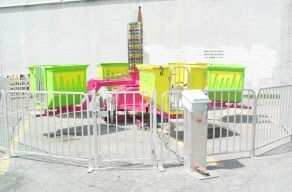 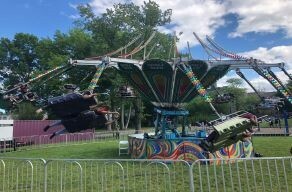 The Dixie Twister has ten swings that hold up to twenty adults or thirty children making it fun for all ages seven and up. 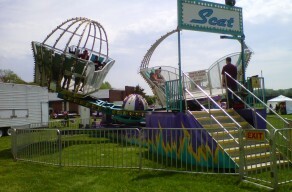 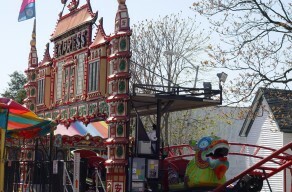 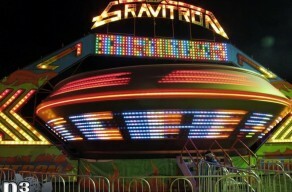 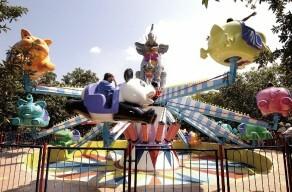 The ride starts off at a slow speed and builds up to a very fast speed. 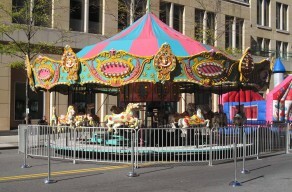 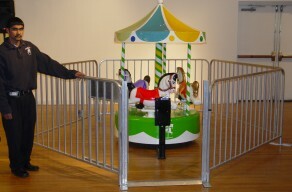 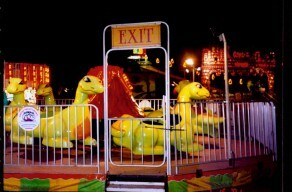 Ride our musical 3-horse carousel. 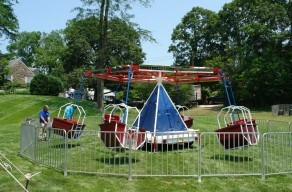 Up to 20 people at once. 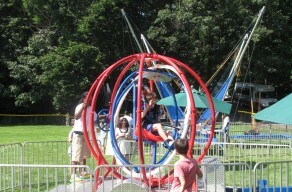 Spin round & round at different angles at various speeds.